Whether or not you’re a recent graduate, sometimes we can all use help finding a job. Try these six tips to help ease the pressure and hopefully, get you working. If you would like to use a resume template, there are plenty of good ones that can be found on Google. Try looking at a template to get a visual of what a resume similar to your field might look like. Once you have the layout done, focus on the content. Make sure to showcase your strengths and achievements in the most relevant way for the job you are applying for. Remember to add any relevant certificates, internships and even volunteer work. Use font that is easily readable and language that is easily understood. Fancy jargon isn’t always best. Avoid any errors on your resume and always make sure to have a word format as well as a PDF version. and of course the WEtech Tech Job Board! Submit your resume and cover letter to as many available jobs as you can. Although some jobs appear on the same sites, aim to visit several different job sites to guarantee you’re getting the maximum benefit. Before going in, give your staffing agency of choice a call–some may require appointments first. This tip is fairly simple. Create a LinkedIn account to connect and network with individuals similar to your field. Many professionals have a LinkedIn account so this is highly advantageous. You can connect to many different people and can even use the messaging portion to send someone an inquiry (if you see the opportunity arise). You can also see different job postings on LinkedIn which can help you find a job quicker. All in all, this is a step you can take that will be highly beneficial. 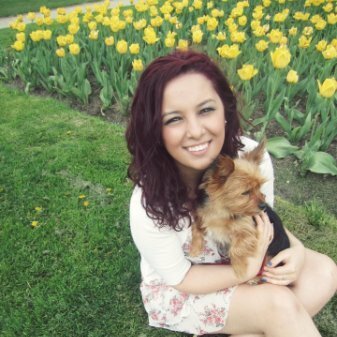 Lina Stoyanova has a degree from the University of Windsor in Communication, Media and Film, as well as Psychology. She does all of the content for websites, including page copy, banner copy, brochures, signs and other text elements. She participates in branding activities as well as advertising projects. She freelances frequently for the Windsor Star and Windsor Business.